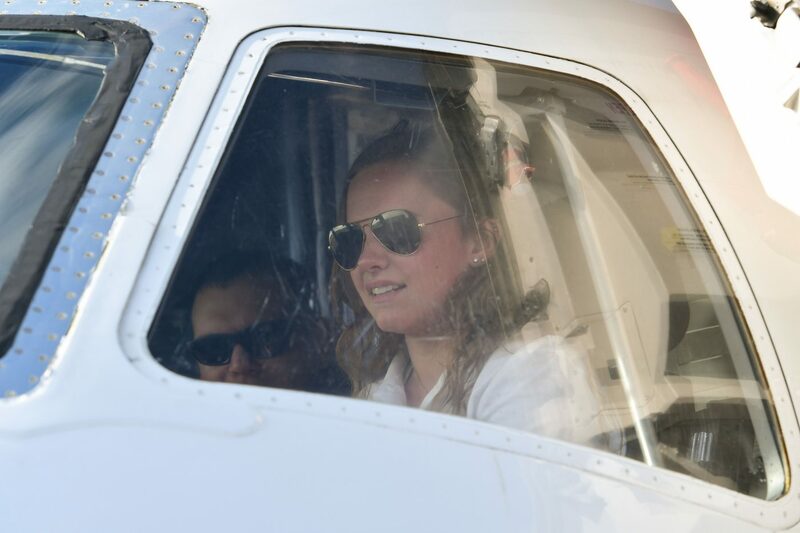 Rachel Thomas settled into the cockpit of an ERJ145, pushing buttons and taking selfies in the 50-passenger, twin-engine regional airliner that felt much different from the small, single-engine plane she navigated during her first solo flight only weeks earlier. Thomas, a junior at the Central Florida Aerospace Academy who is working on an Associate in Arts degree through dual enrollment at Polk State College, plans to enroll in Polk State’s Aerospace Program to pursue a Bachelor of Science in Aerospace Sciences, specializing in the Professional Pilot concentration. 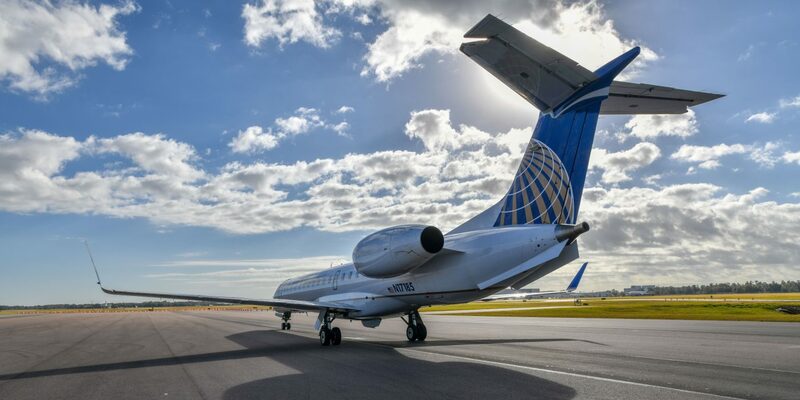 ExpressJet, a United Express carrier, stopped in on the SUN ‘n FUN Warbird Ramp during a regional educational tour of the airliner. 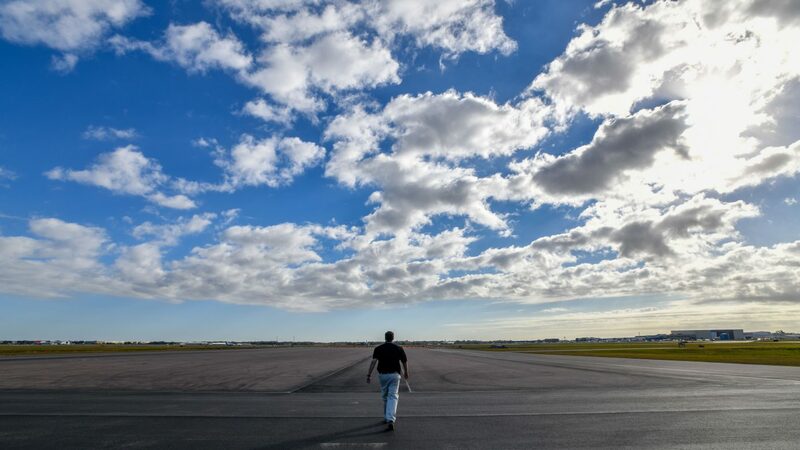 “This experience was very different from my first solo flight – it’s much more advanced but really exciting. 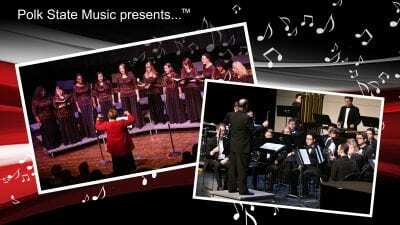 It’s motivating to see the support students receive from those in the industry to pursue our dreams,” Thomas said. 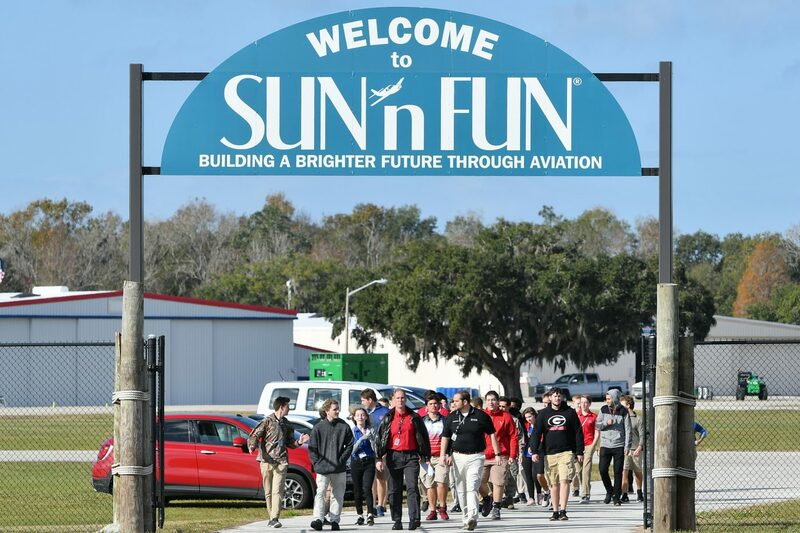 The Central Florida Aerospace Academy is on the SUN ‘n FUN site with Polk State Aerospace only a mile away at the nearby Polk State Airside Center. 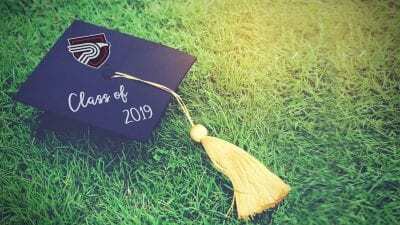 “It makes sense for me to pursue my education at Polk State because all of the resources are right here in Lakeland, and the program is known to be one of the best,” Thomas added. Nearly 30 eager students from the Central Florida Aerospace Academy and Polk State Aerospace had the opportunity to board the airliner and sit up front in the cockpit, asking questions of seasoned pilots who are dedicated to inspiring young students to pursue aviation as the need for pilots, maintenance technicians, and cabin crew continues to rise. It is projected that 790,000 new civil aviation pilots, 754,000 new maintenance technicians, and 890,000 new cabin crew will be needed to fly and maintain the world fleet over the next 20 years, according to the 2018 Boeing Pilot & Technician Outlook. 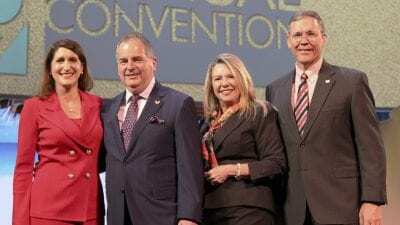 Boeing has conducted this study every year since 2012, and each year the predicted need has continued to rise as the demand for air travel and e-commerce grows. 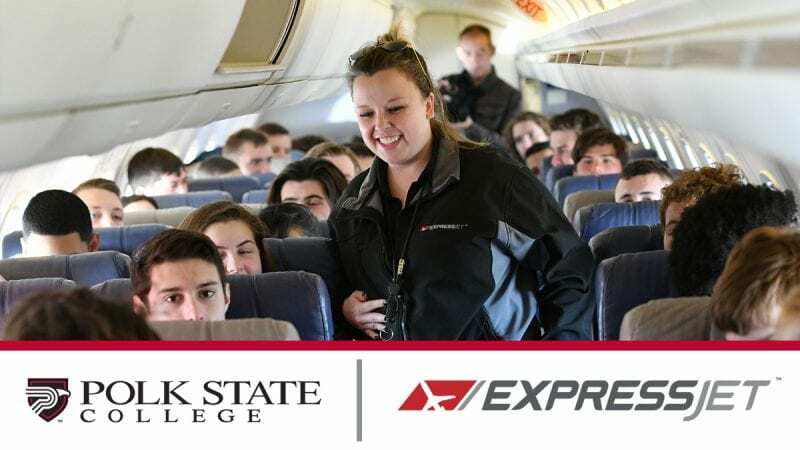 Polk State launched its Aerospace Program in 2013 in direct response to the industry’s needs and has since enjoyed partnerships with local employers and industry leaders, including ExpressJet which has extended conditional job offers to all 17 Polk State students who have applied through the Airline Pilot Pathway Program (AP3). 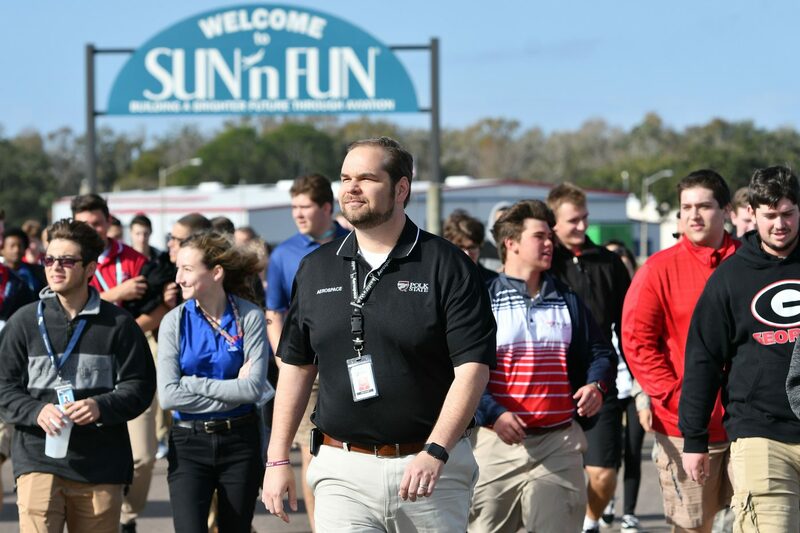 Polk State Aerospace Director Eric Crump highlighted the great support the College receives from ExpressJet and industry partners, which serve to give students and aspiring pilots an extra push to persevere on their paths to degrees in Aerospace Sciences. 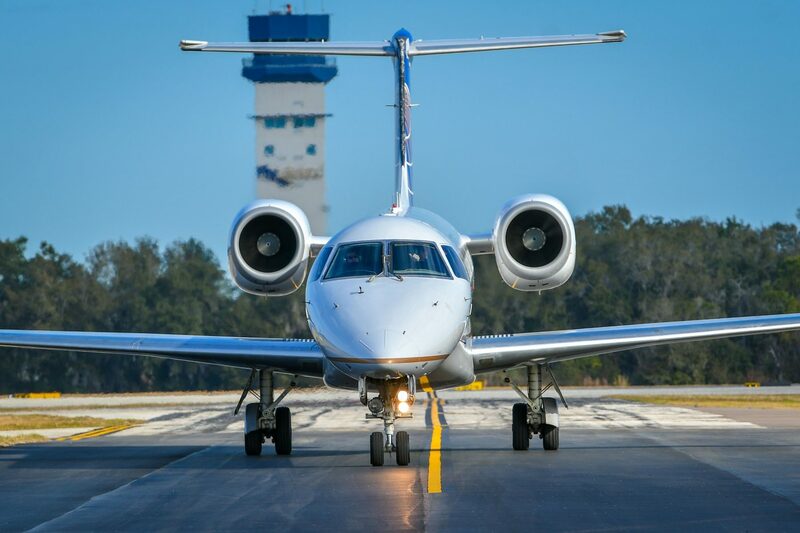 Thomas Jacobsen, a senior at the Central Florida Aerospace Academy who is working on an Associate in Arts degree through dual enrollment at Polk State, recently achieved his pilot’s license by completing flight time through Polk State’s Aerospace Program. 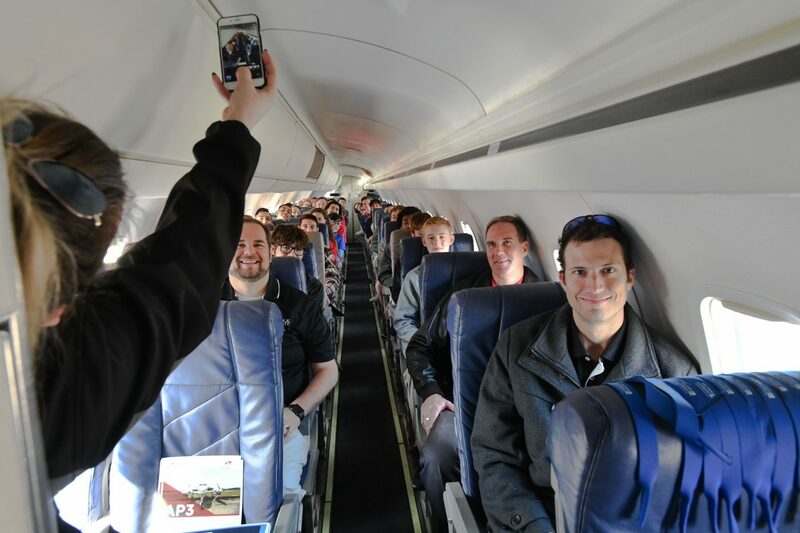 He echoed sentiments similar to his peers regarding the excitement of ExpressJet’s visit and the encouragement students receive from their instructors and industry partners to pursue their aspirations.